My friends and I discuss important topics quite regularly. 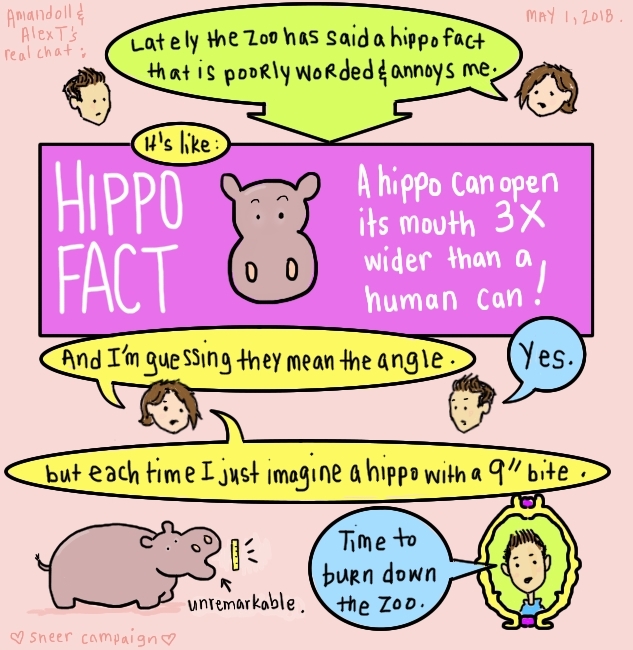 On this particular day, AlexT and I spoke briefly about several things wrapped up in one: trivia about hippos, the fact that I was annoyed, and that I prefer a world where communication is clear and unable to be misunderstood. I’m a simple gal with simple requirements, clear communication being one of the biggest ones. I mean, despite how it may seem when you read my unwieldy sentences all over this site. This is a short conversation because the solution was pretty obvious. Thanks, AlexT.